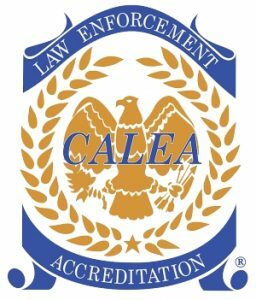 The Florida Police Accreditation Commission Inc., (FLA-PAC) promotes the concept of the voluntary certification for all accreditation professionals in the criminal justice field. The Certified Accreditation Professional Program (CAP) certification focuses exclusively on the individual and is an indication of current proficiency in a particular criminal justice field. Accreditation professionals who become Certified Accreditation Professionals are distinguished as individuals who have reached one of the highest levels of achievement and recognition in their field. Information on the Certified Accreditation Professional (CAP) Program is located in the Members Only section. This is a one (1) year Scholarship that will be awarded annually at each June Accreditation Conference. The total amount of this scholarship will be $2,000.00 payable to the winner. The recipient of the award will be able to utilize funds towards tuition, books, etc. in pursuit of a criminal justice degree at an accredited college or university or towards the costs of attending a Law Enforcement or Corrections Academy for the purposes of state certification. In order to qualify for consideration, all materials must be postmarked no later than the January 31st prior to the June conference at which the scholarship will be awarded. For a copy of the FLA-PAC Scholarship Application Form, click here.